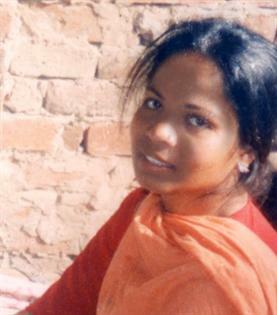 Asia Bibi, a Christian farm labourer from Pakistan, has been in solitary confinement for most of the past 9 years. She was sentenced to death in 2010, based on a ‘blasphemy’ accusation made by some of her Muslim neigbours. The neighbours had objected to her drinking from the same water source and reportedly pressured her into making a ‘confession’. Earlier today, the supreme court in Pakistan finally overturned the conviction. It’s worth looking in detail at the background to the case, the powerful final judgement, and what it may mean for the future. What happened to Asia Bibi? Aasiya Noreen, better known as Asia Bibi, lived in a small rural village, Ittan Wali, in the Sheikhupura District of Punjab, Pakistan. It is an area where Christians are frequently treated as ‘lower caste’: they are maligned as ‘unclean’, subjected to bullying, and usually work the worst jobs and live in poverty. Aasiya’s family reportedly were the only family of Christian background in the village and had faced pressure to convert to Islam prior to the ‘blasphemy’ accusation. “My forefather are living in this village since creation of Pakistan. I am also about 40 years old since the alleged occurrence, no complaint likewise this never exist against me. I am uneducated[…] there is no church of the Christian in the village, so, being ignorant of any Islamic thought, how can I use such clumsy and derogatory remarks against the beloved Prophet (PBUH) of Allah and the Divine book”. In November 2010, a lower court at Sheikhupura, Punjab, sentenced Noreen to death by hanging and a fine equivalent to around $1,100. Numerous inconsistencies and errors are present in transcripts of the various hearings that have taken place. She spent most of a year in prison before the first trial even began. Hearings were often delayed. Judges and lawyers were threatened, and both the media and even those in court were unable to repeat the alleged ‘blasphemous’ remarks for fear that they themselves would be accused of ‘blasphemy’. There have been a number of appeal attempts in the nine years since her conviction, and Noreen’s husband, Ashiq Masih, and their children have campaigned vocally for her release, putting themselves at further risk of accusation or violence (those who defend others accused of ‘blasphemy’ in Pakistan frequently have accusations transferred to themselves). Salmaan Taseer, the governor of Punjab, was asked to investigate the Asia Bibi affair for President Asif Ali Zardari. Based on his findings, Zardari was poised to grant a pardon, but the High Court in Lahore blocked any potential pardon. Taseer would visit Noreen, detained in solitary confinement, until the visits were restricted only to close family. He emerged as a leading critic of Pakistan’s blasphemy laws and repeatedly called for Asia Bibi’s pardon. Taseer was assassinated by one of his own bodyguards on 4 January 2011. His murder was noted around the world and divided Pakistan. There were three days of mourning officially, but many religious leaders and individuals celebrated his death and honoured his murderer, and his murder cemented the fear among liberal-minded opponents of the ‘blasphemy’ law that to criticize it could be fatally dangerous. One of the major stumbling blocks to justice in ‘blasphemy’ cases in Pakistan is that defence lawyers and judges are themselves threatened. Courtrooms are frequently intimidated by protesters demanding death sentences and judges in previous cases have face threats. Even the lives of the three supreme court justices will also now be at risk. Despite that risk, today, 31 October 2018, the Supreme Court acquitted Asia Bibi of the ‘blasphemy’ charge, accepting an appeal that technically dates back to 2015. The judgement is damning about the process that lead to this point. The 2015 appeal challenged the Lahore High Court’s October 2014 verdict, which itself upheld the trial court’s initial November 2010 death sentence. A 56-page detailed judgement was authored by CJP Nisar. The judgement is wide-ranging and detailed. Not unfitting for a case of this magnitude, it examines high principles of justice including the presumption of innocence and the burden of proof, which it finds were neglected in earlier trials. “It is a well settled principle of law that one who makes an assertion has to prove it. Thus, the onus rests on the prosecution to prove guilt of the accused beyond reasonable doubt throughout the trial… Presumption of innocence remains throughout the case until such time the prosecution on the evidence satisfies the court beyond reasonable doubt that the accused is guilty of the offence alleged against him. “it is not for the individuals, or a gathering (mob), to decide as to whether any act falling within the purview of Section 295-C has been committed or not, because as stated earlier, it is the mandate of the court to make such decision after conducting a fully qualified trial and on the basis of credible evidence brought before it”. The judgement goes on to say that the prosecution’s evidence from the public gathering, where Bibi was alleged to have insulted the prophet, “was nothing short of concoction incarnate”. The judgement ends with a hadith on the rights of minorities. Despite the explicit refutation of the evidence by the supreme court, a lawyer for one of the plaintiffs, Chaudhry Ghulam Mustafa, rejected the verdict, again repeating the belief, widely touted by proponents of the prosecution, that Bibi had confessed to the ‘blasphemy’. Bibi’s husband hailed the verdict. “I am very happy. My children are very happy. We are grateful to God. We are grateful to the judges for giving us justice. We knew that she is innocent,” said Ashiq Masih. “My wife spent so many years in jail and we hope that we will soon be together in a peaceful place,” he added. Mass protests, which had long been threatened by Islamist groups, have materialised in a number of cities across the country, with roads blocked. Some protest signs feature nooses — it has always been the case that some Islamist groups have demanded the death sentence in the case. What impact will the case have in the future? And indeed, it is clear that the supreme court, as on previous occasions, wants to see more people prosecuted for bringing false accusations, and that it derides the production of false and malicious charges. However, it is notable that the judgement never questions the actual ‘blasphemy’ law. It implies more than once in fact that under Islam the state must reject and criminalize ‘blasphemy’. The new prime minister Imran Khan recently aligned himself in support of the ‘blasphemy’ laws and suggested they should be exported to the world via international law. And it remains the case that those who defend ‘blasphemy’-accused, or any judge who finds in their favour, faces intimidation and the threat of death. So, while today’s ruling is suggestive that lower courts should be much more discerning about evidence, as well as rejecting or even prosecuting those who bring false or malicious claims, there is no suggestion of new law, new protections, or any new incentive to keep lower court judges on track, or to disincentivize prosecutions based on malicious accusations. “It must also be stressed that Asia Bibi’s tragic case is one among dozens of others. 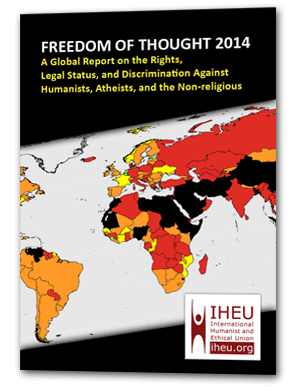 There are around 50 individuals still imprisoned on blasphemy charges, at least 17 facing possible death sentences. “This case, reflective of so many others who still suffer in prison, urgently highlights the need for reforms. Defence lawyers and even lower court judges have all been threatened and face the real risk of a violent response should they be accused of responding to ‘blasphemy’ accusations with anything less than dogmatic fury and a presumption of guilt. As per today’s judgement, the presumption of guilt must be reversed, and as the supreme court itself has said in the past, there needs to be a re-think on criminal ‘blasphemy’ in Pakistan and prosecution of those who make malicious accusations or who incite violence against those who are accused. With protests erupting across the country and more threatened for Friday evening, with many calling for Asia Bibi’s death, there is little prospect of safety in Pakistan. In one previous case where charges were dropped against a young Pakistani Christian girl, Rimsha Masih, she was helicoptered away from the court and given visas to travel abroad. Some similar arrangement with a friendly country what could act as a safe haven is almost certainly necessary in Asia Bibi’s case. There should be No such thing as Blasphemy Laws. Blasphemy Laws mean discrimination & threats by Religious Groups against others not of their group and ordinary Non-religious people. Blasphemy Laws ‘tell’ religious groups that they & their religious beliefs are somehow special, deserving of special treatment under the Law, unlike the rest of us ‘ordinary others’ who should be punished for not sharing their beliefs. History & religious studies have shown that religious believers have caused nothing but division, death & destruction throughout Human Development. We need to use the Legal System & Laws to break the cycle of indoctrination & intimidation Not re-enforce it. We need to be taught to treat Our planet & All its inhabitants with Respect & Consideration; Give All a more equal Share of its resources. This can only begin with Laws to provide Equal Opportunity for All, to unbiased, evidence based Education in secular schools, colleges & universities in All countries of the World.